Thanks for your ongoing support of Worth Less? As you know, ahead of our meeting with the Department for Education on Monday 8 February, we asked you to actively support the campaign. To that end, we are delighted that in just 36 hours, over 5,000 people have liked our latest image on Facebook and many of you have written powerful messages of support. We are keen not to bombard you with requests but would ask that you help us to maintain momentum. With this in mind, if you have not done so already, please use the link below to like the most recent image and increase our number still further. Every ‘like’ and ‘share’ really counts. 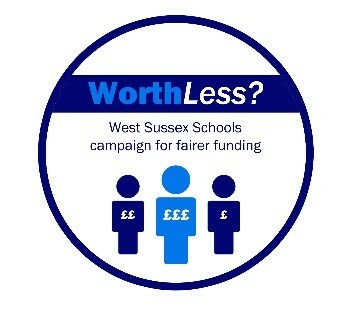 Go to: https://www.facebook.com/WorthLessWestSussex/photos/a.1652657748339729.1073741828.1646768215595349/1672986596306844/?type=3&theater and click ‘like’.